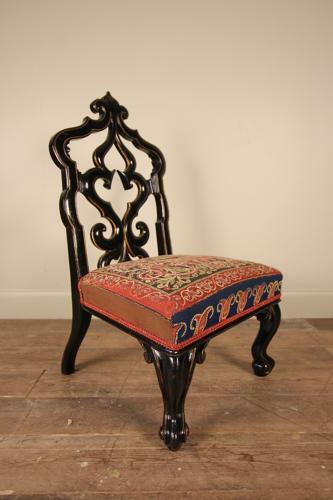 A beautiful little late 19th century lacquered and gilded chair, having the original embroaded stuff over seat, with scrolled front legs and decorative carved back. In good original condition throughout. Circa 1880.